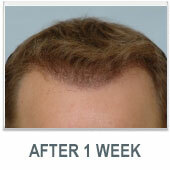 A new product from HairCycle promotes dramatic healing in new grafts. HairCycle products are physician formulated, safe, and naturally-based, delivered in a vehicle that is gentle and effective. The products are ideal for those undergoing hair transplant surgery, and for the millions of men and women worldwide experiencing hair loss. 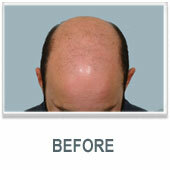 Many hair transplant patients complain about “lost grafts”. In most cases, this results from patients whose graft scabs came off with non-growing hair shafts firmly attached to the crusts. Effective post operative care, continuous hydration of the grafts, and products that help digest the graft site protein debris and crusts are of tremendous help in reducing this problem.In addition, anti-inflammatory ingredients will quickly reduce inflammation and redness for better healing and less patient visibility. HairCycle has anti-inflamatories and anti-oxidants along with natural ingredients that help to digest crust and protein debris. These natural ingredients are designed to promote anagen, stimulate growth, and convert telogen hairs into growing anagen hairs. 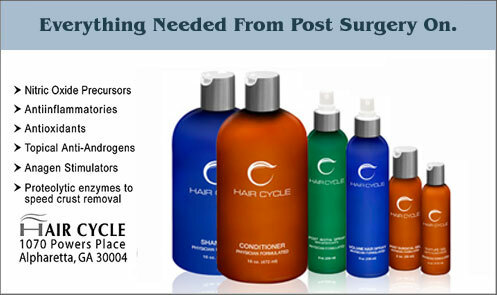 HairCycle has two post operative surgery products that are highly effective for the healing process. These products contain a number of ingredients designed to prevent infection, modify inflammation, diminish the damage caused by free radicals, and increase levels of nitric oxide. In this way, we are maximizing the ability of the body to promptly heal the surgical wounds, improve local blood flow, and allow the tissues to expend their energies nourishing the delicate grafts that are just beginning to grow. This will insure the maximum yield and the best possible cosmetic and aesthetic outcome after the procedure. 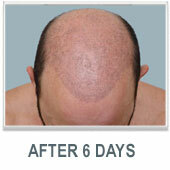 HairCycle Post Biotin spray is used every hour beginning with the start of graft implantation. By the next day, you can see a brownish-rust colored streak running dependently away from the grafts. This streak is fibrin clot mixed with iron along with dried biotin spray. By the third and fourth day I am able to remove crusts without dislodging grafts in many instances by gently massaging the area with my forceps and lifting the scabs or crusts off the grafts. 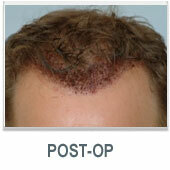 Several Hair Transplant practices now use HairCycle kits as a standard part of their post-operative patient procedure. Becoming a distributor is simple and allows you to order HairCycle products at special distributor rates. HairCycle is priced very competitively, and allows you to incorporate HairCycle products as part of your standard post-operative care. Fill Up the Distributor Form Now! 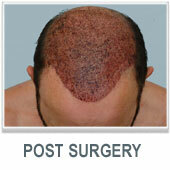 provide your patient with the best hair restoration post-operative treatment on the market today!. You may also Contact Us for further information and assistance.